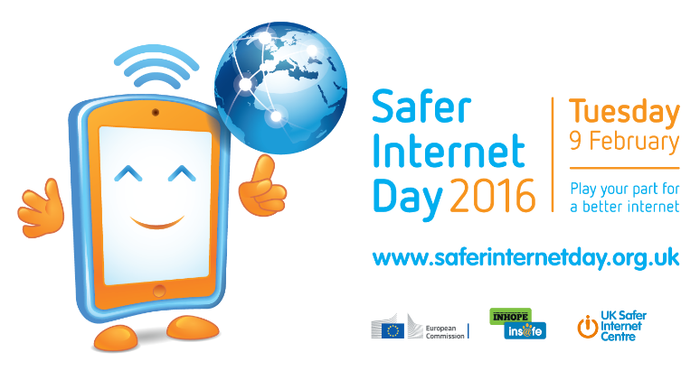 Tuesday February 9th 2016 is Safer Internet Day. Safer Internet Day is run by the INSAFE network and is celebrated every year across Europe and in other countries worldwide. In the UK, Safer Internet Day is organised by the UK Safer Internet Centre (www.saferinternet.org.uk) and this year’s theme is “Play your part for a better internet.” Childnet International, who form part of the UK Safer Internet Centre, have produced an online safety presentation to help schools, parents and carers to support children and young people online. Over the course of the day and the rest of the term school will celebrate the many positives of the internet and help raise awareness of the issues that children and young people face online. Childnet International are experts in the field of online safety education and we highly recommend that visit the online centre at www.saferinternet.org.uk which provides practical advice and safety tips to help manage online safety issues and discussions surrounding suitable online behaviour. We believe that internet safety is a crucial element of the curriculum and an essential part of young people’s development. If you require any more information please do not hesitate to contact Mrs Robertshaw who leads the computing curriculum in school.